Okappy is all about getting rid of paperwork and making it easier to find your job information. One way of doing it is through the ability to easily archive your jobs. By archiving your jobs, you can easily see the wood from the trees rather than being submerged with lists and lists of jobs. Another benefit from archiving your jobs is improved performance. Whatever system you use, whether it's a file full of job sheets, Microsoft Excel or (heaven forbid!) one of our competitors', the more jobs you have to search through, the more time it will take. By focusing on outstanding jobs and archiving off your completed jobs, the system can calculate the latest status much quicker. It reduces the demand on both your internet connection and the amount of data you download to your iPhone, iPad or Android phone. For Android phones in particular, there are limits to how much data can be stored in case of a poor network. So you want to start archiving your jobs, how do you go about doing it? 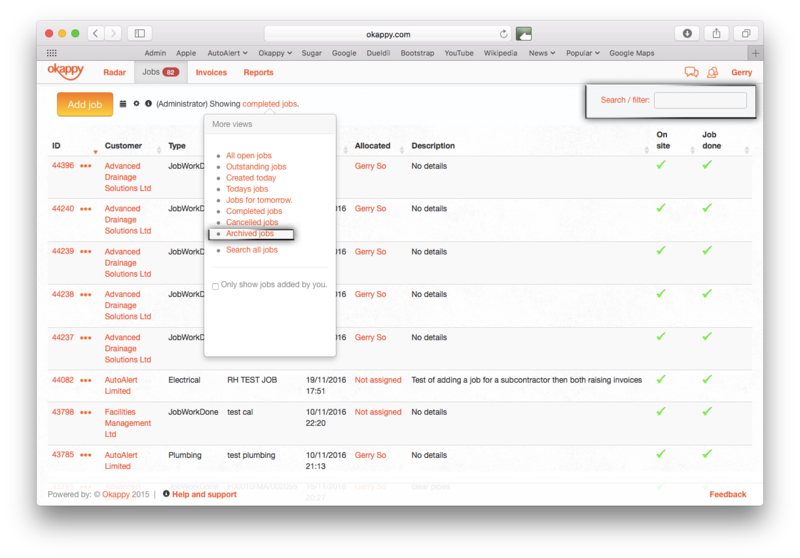 With Okappy, archiving your jobs is easy and can be done automatically. Once you have raised an invoice against a completed job, the job will automatically drop off from the Open jobs screen to Archived jobs. To archive your jobs automatically, just let us know and we'll update your settings. This is often useful if you have different people responsible for managing your jobs and someone else in charge of bookkeeping and accounts. By archiving your jobs automatically, you can easily see any completed jobs with no invoice raised against it as they will still be sitting in the Open jobs/ Completed jobs section. If you are not raising invoices or simply want more control over when jobs are archived. 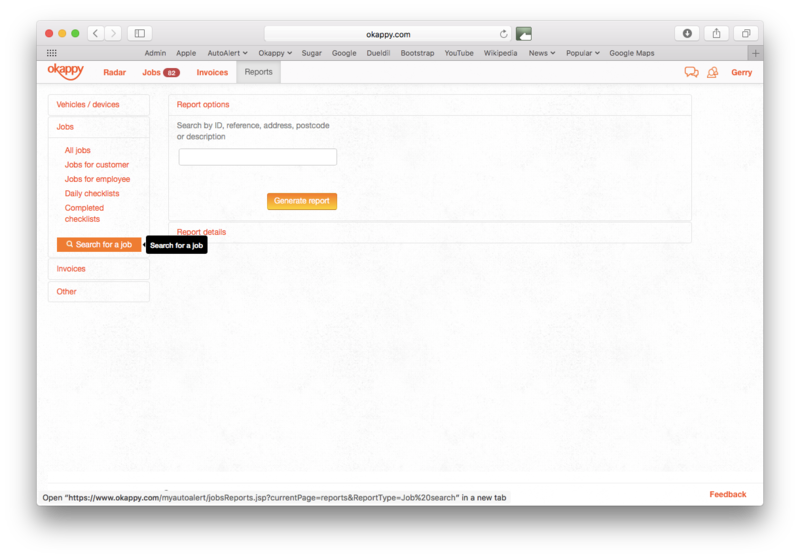 Then simply click the more icon ( ) and click archive jobs. Note: The archive option is only available for completed jobs added by yourself. Your archived jobs are still available, simply click on the filter on the top right of the page, near the 'Add job' button, and then click on Archived jobs. You can then narrow down your search further by using the Search / filter jobs bar on the top right of the page. You can also search for any jobs (and create a report if required) in the Reports section of the app. Search by job ID, description, address or postcode. What if I don't want the job on the system at all? If for some reason, you don't want to keep your job on the system, you can delete it by simply clicking on the three-dots icon ( ) and click on Delete jobs. Note: This option is not available if your customer or subcontractor has entered a job on your behalf. Find out more about managing your jobs with Okappy.